RISE: Refugees, Survivors and Ex-Detainees, is the first organisation in Australia to be governed entirely by refugees and asylum seekers. RISE consists of over 30 different refugee communities in Australia and exists to enable refugees and asylum seekers to build new lives by providing advice, engaging in community development, enhancing opportunities, and campaigning for refugee rights. RISE supports a complete boycott of the 19th Sydney Biennale as Transfield, a major sponsor and partner of this event, receives income from the operation of Australia’s deadly offshore internment camps for refugees and asylum seekers. In 2012, Australian Artist Van Thanh Rudd first called for a boycott of the 18th Sydney Biennale when Transfield Services won a $24.5 million Australian government contract to provide facilities in the Nauru asylum seeker detention camp. Transfield’s income from these operations (as of February 2014) is over 300 million dollars, and they have now won yet another contract to run “welfare services” on both Nauru and Manus Island. At the same time, there are shocking reports of mistreatment and abuse in these camps including eye-witness accounts from medical staff, welfare officers and other former detention staff. In addition to organisations such as Amnesty and the United Nations High Commission for Refugees cataloguing these abuses, Pakistani news outlet Dawn recently reported the story of a Hazara asylum seeker whose two siblings died in 2013 on Nauru. The family had fled from Quetta, Pakistan, after their father was shot dead in the local market. The asylum seeker described appalling conditions in the Nauru camp, including being held in overcrowded tents with little privacy and security. The asylum seeker’s brother was stabbed to death and his sister died in his arms from pneumonia due to inadequate treatment. In short, Australia and Transfield have the blood of refugees on their hands. In 2011, RISE made submission to an Australian parliamentary enquiry predicting that unchecked expansion of Australia’s privatised detention network would lead to a US-style private prison industrial complex where immigration policy would be shaped by corporations who profit from misery. Our predictions have unfortunately come true: a report released in 2013 by the US based Sentencing Project, stated that Australia has the largest private prison population in the world thanks to its asylum seeker policy. Participation in the Sydney Biennale sponsored by Transfield makes artists partners in a system that silences the voices of refugees and asylum seekers and profits from their misery. If you believe that refugees are entitled to the right to protection of life, freedom, dignity and respect, we ask that you take a stand and not participate or support this event or any other event that benefits from the dirty profits of Australia’s racist, anti-refugee industry. The RISE Cypha Project is aiming to utilise conscience hip hop and its culture, as well as facilitated discussions around social justice, to educate, motivate, inspire and empower young people with the skills and confidence to reach their fullest potential. The Cypha Project will provide refugee and asylum seeker participants with all the necessary facilities, including, a recording space and workshops. 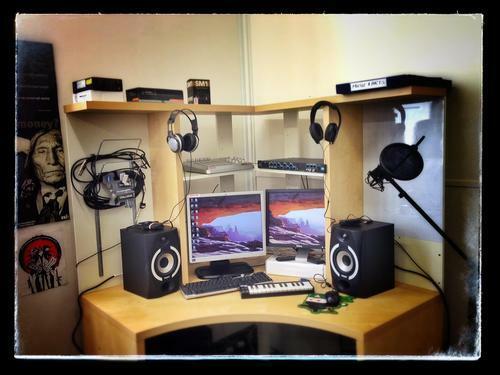 With the assistance of our talented and professional staff, we hope to provide training, educational mentoring, sound engineering and production facilities for young people to professionally record, market and distribute their songs. The need for this project arose from RISE’s consultations with asylum seeker and refugee communities. One of the most common needs amongst the youth identified in these consultations, was the desire for their voice, to be heard and acknowledged. Ultimately, this project is aimed at empowering participants with the knowledge, skills and tools to positively express their own identities within the context of their environment. The recording space will establish a positive relationship between participants & instructors, thereby enabling positive social skills and artistic mentorships to grow. For more information about the project or media opportunities please contact admin@riserefugee.org or call us on 03 9639 8623.